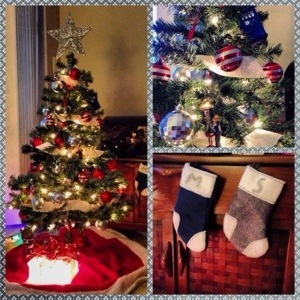 Every year, seemingly earlier and earlier, we are bombarded with emails on Black Friday sales, holiday extravaganza sales, pitches for products and “festive” article “ideas.” Now that Thanksgiving (at least here in the US) is behind us, I’m okay talking about the upcoming holidays here on Scofflaws Den. To be sure, in the next couple of weeks you are going to see more and more gift ideas for those in your life. It’s been a while since I’ve talked about some of my favorite bar/kitchen thingies so I’m going to do a series of short posts on some of these favorite things. There is no particular ranking but I guarantee I use these things often. I also want to be clear, everything I profile was purchased by my self or given to me as a gift from friends or family – nothing was given by the manufacturer or PR firms. The first tool is one of the handiest gadgets I have. It hangs on the wall right next to my mixing station in the kitchen so it’s within easy reach. During parties I throw it in my back pocket to use throughout the night. What is it? 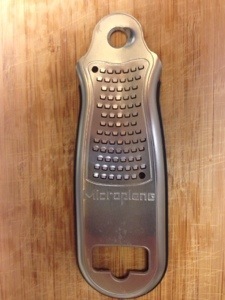 It is the Microplane Bartender’s Garnishing Tool. This little gem is a zester, peel curler and bottle opener. It fits comfortably in your hand making opening bottles and garnishing those holiday martinis pretty simple. But honestly the neatest thing about this tool is the zester. During the chilly months of the year I find myself making more drinks where a quick zest of fresh nutmeg on the top puts a cocktail over the edge. Think eggnog, spiced apple cider or mulled wine. Having a nutmeg in my pocket and a zester is easy, slightly theatrical for guests and really just fun. (Never claimed I was not a huge nerd!) At $20 MSRP it is a great stocking stuffer or lost cost gift to someone who loves making drinks for friends and family all year long. My next favorite thing is a relatively new addition to the bar. I was gifted a set of these rocks glasses by friends for working on their wedding cocktails. I originally saw them on a random “neat stuff” website, fell in love with them and immediately put them on my Amazon wish list. I can’t say these glasses “do” anything except hold my tasty beverages, but just look at them! 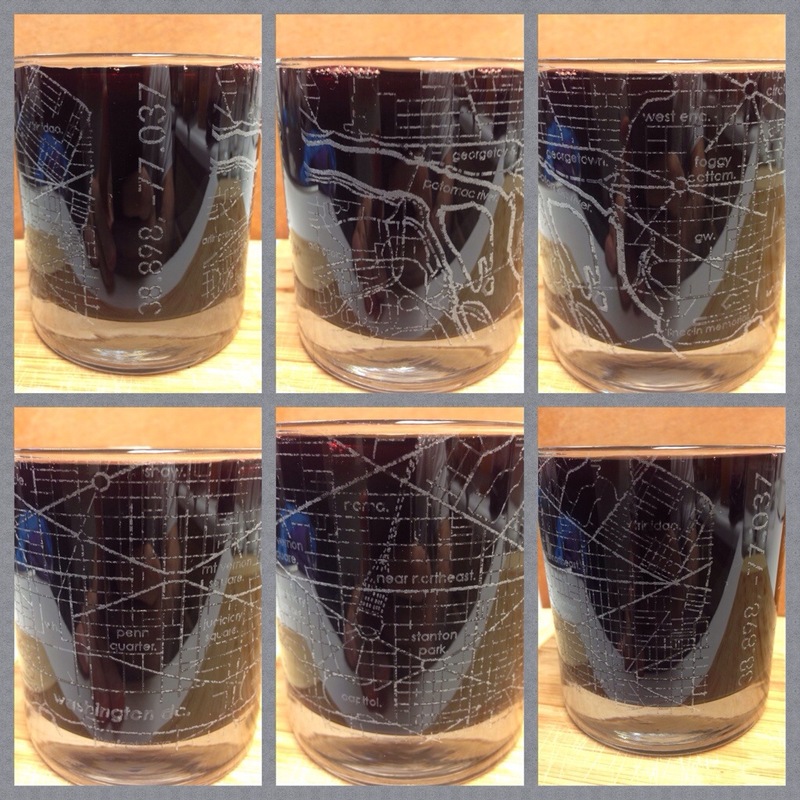 For those of you who don’t live in the DC area, these glasses are etched with the streets and neighborhoods of Washington, DC. The picture above is of the same glass rotated so you can see the full etching. These glasses feel substantial in your hand and have a nice heavy bottom. These glasses come from The Uncommon Green and each rocks glass runs $12.50. They also have pint glasses and carafes etched with lots of different city street maps. Check out their website to see if your city is there. That’s it for part 1 and I’ll have a few more favorites in a couple of days. Maybe a few other Scofflaws will chime in with some of their favorite things as well!